Thousands of children and young people are learning to ride in lesson programs and competing in shows all around the world. These younger riders, however, can learn valuable lessons from senior riders who are busy riding, owning, and showing horses. Seasoned riders can teach the rest of us how it’s done and remind us of why it’s done. In so many sports, participants fizzle out as they reach their forties, or even younger. What is it about riding that hooks some people for life? Barb Anderson, from Minnesota, owns two beautiful Morgan horses, Wilson and Scarlet. Barb’s riding looks elegant and effortless, though any rider knows that appearing effortless is actually the result of a lot of work. Barb had always dreamed of riding and owning horses, but it didn’t happen early in life for her. It wasn’t until several of her children were leaving the nest and heading off to college that she made her dream come true. 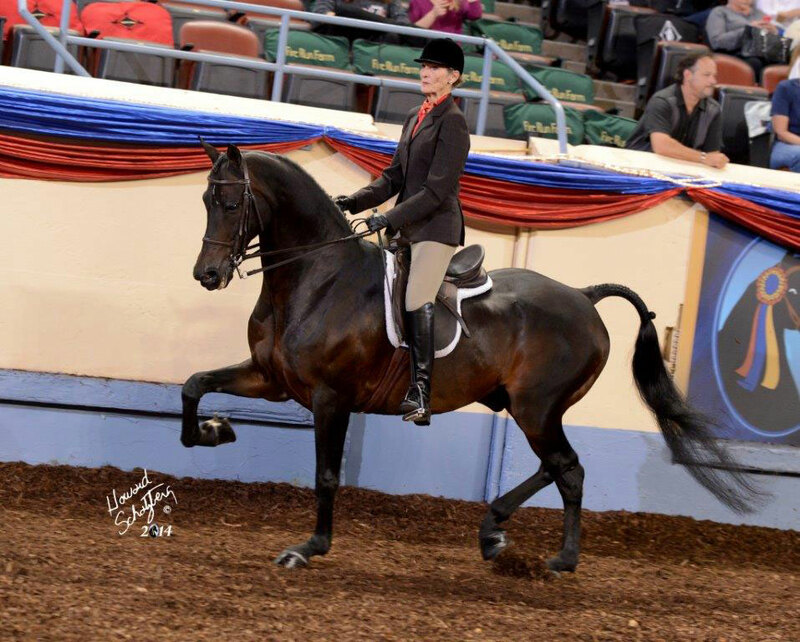 She now rides several times a week at Hardwood Creek Farm in Minnesota and competes on the Morgan show circuit. Once Harriet started getting on a horse during her daughter’s lessons, her own interest took off. Riding soon became a favorite bonding activity for Harriet and her daughter, and Harriet’s natural ability began to shine through. Harriet didn’t buy a horse for herself until she was in her sixties. 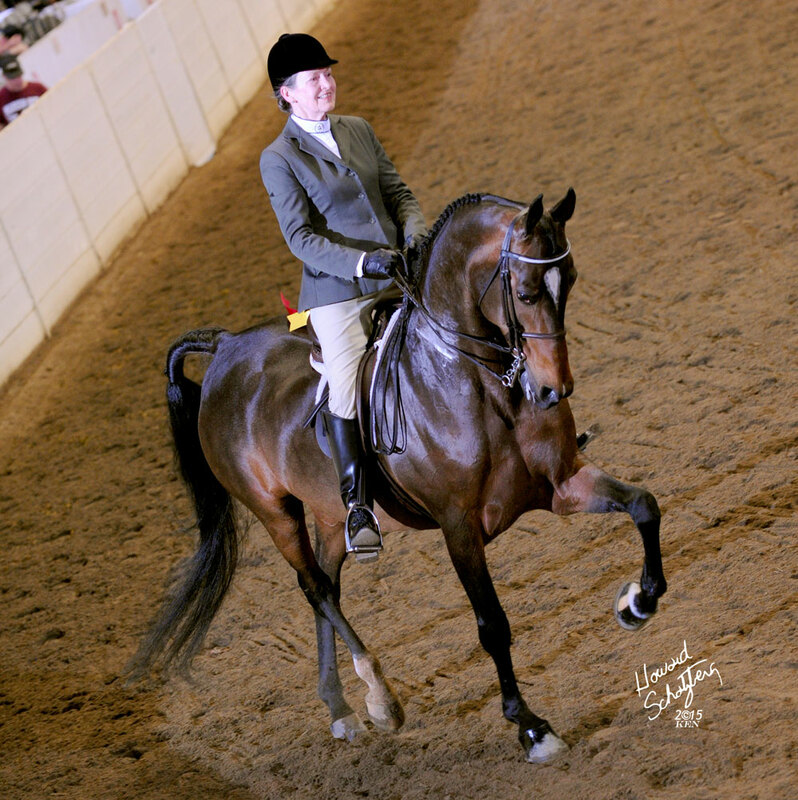 She now owns a handsome Morgan, Boston, her “dream horse.” Though modest about her ability and achievements, she’s had success in a variety of classes on the Morgan show circuit. The relationships they have formed with other horse lovers is another aspect of riding that keeps Barb and Harriet coming back for more. 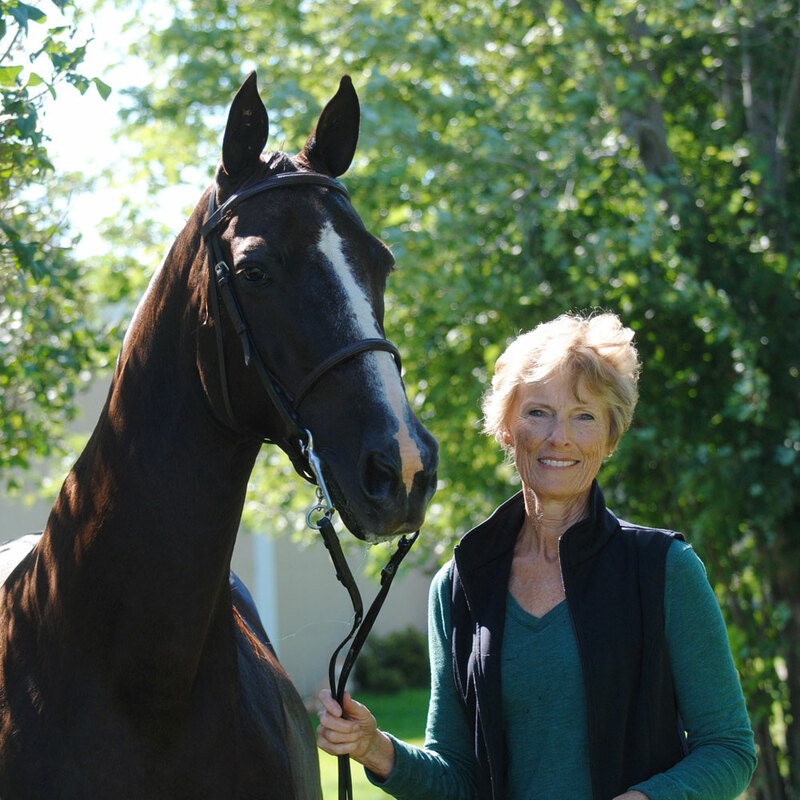 Harriet and Barb enjoy friendships with riders of all ages, and with their trainers, the Wick family of Hardwood Creek Farm. “I also enjoy watching the young girls ride and…grow into skilled equestrians, learning so much more quickly and beautifully than their older friends,” notes Barb. 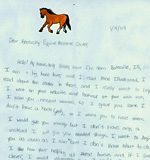 “It is so much fun to cheer each other on in our shared effort to each do the best we can with our horses.” That shared passion for horses can unite people from all ages and walks of life. On top of the emotional rewards, riding regularly is a fun way to stay fit and focused. Both ladies say that riding gives them energy and helps them feel strong physically. After all, it takes strength and balance to maneuver a 1,000-pound animal, not to mention the endurance and skill required to do it well. Barb says that the challenges inherent in riding are part of the fun. It’s true–you must be focused on the task at hand when riding, and the arena is one place where life concerns can be tabled for a bit. Clearly, the positive emotional and physical impact of riding hooks people for life. Barb and Harriet are outstanding reminders that age is simply a number. 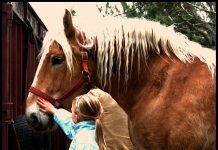 Their experiences can inspire others to discover the joy of horses throughout their lives. As Harriet says, “anytime is a good time to start.” It’s never too late to get in the saddle. Why aren’t these riders wearing approved helmets? You show a beginner rider with NO helmet and others with useless hunt caps–no harness. This does speak well for your horsemanship.